ArabHosters is obliged to work on customer convenience and to provide the best service and the continued development doing all effort in order to serve the client in respect of hosting services and servers. ArabHosters is obliged to inform the customer clearly and transparently on the status of a server hosting it. ArabHosters is obliged to provide protection and stability of the servers and network by running 99.9% up-time. ArabHosters is obliged to maintain the customer’s personal data in full strictly confidential and will not be exposed to any party except the government or international agencies if requested formally, and we will tell the client directly when that information revealed to them unless the case requires otherwise. The required services are performed after the receipt of the service charges that are ordered the client, and in the case of renewal are renewed after the receipt of service subscription renewal fees and customer follow-up services renewal and bills before the date of repayment of maturity. In the case of non-payment, you will receive an invoice from ArabHosters as a payment reminder, note that the billing system is automatically sending reminders before the issuance of the invoice period of not less than 7 days. In the case of non-payment on the last day of the period is hosting the customer’s account is automatically deleted from the server to provide space for another client, ArabHosters will not be responsible for the files or the contents of the account ending in any form. ArabHosters may retain a copy of the customer’s site for a certain period not exceeding two weeks as a paid service upon request. If you do not desire to renew your server must be full-service work request to cancel the day before 6 days from the date of renewal, and in the case of the issuance of the invoice will not be for the client the right to request to cancel the service and the necessary renewal. Price changes: When you subscribe to one of the plans or hosting services at the official rate for the service we will renew the subscription at the same price in case ArabHosters decide to change the price of the service in increase or decrease customer is entitled to claim the amount increase for renovation to comply with the new price, but only in the case of the new account. 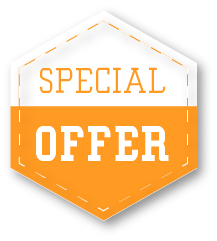 special offers and coupons: ArabHosters makes special offers from time to time, these offers are divided into two parts, the first part is dedicated to new customers only to second part is dedicated to existing customers. This means that per-view conditions must be met. vouchers usable to new subscriptions only. And unusable when you renew your subscription. When you subscribe to the service with the benefit of a discount, the discount coupon will only be when you subscribe to renew the subscription that does not include the service. The client is fully responsible for the content of the site before ArabHosters and the competent legal authorities. Some programs and content is strictly forbidden on our servers and includes all hosting services (shared hosting, server, and servers half full). The publication and distribution of copyrighted content without prior permission from the rights owner is forbidden. In the event of discovery of this matter, ArabHosters holds the right to close the site. prevents the use of any software and/or unlicensed scripts. In the event of any complaint on a site that uses an unlicensed copy of the manufacturer or the legal administrator for the site is closed. we will ask him to delete the program and/or the script or the acquisition of an official license of the product. hosting terrorist incitement to groups and individuals, demonizing individuals and groups, pornographic sites, attacking political policies of countries in any form or by any method is considered a violation of conditions of service. Migration service is offered to customers transferring hosting from another provider to our servers. Hosting team is committed to providing the best services for the transfer of customer data and work to ensure the safety and speed of transfer. In all cases, sites offer transfer as an additional service free when you book a hosting service, and ArabHosters is obliged to provide this service in all cases because some of the transfers of other service providers do not provide seamless data transfer method and it makes it difficult for the host team. And to ensure the compatibility of the site before the transfer and safety of files and databases after the transfer is the responsibility of the client in the first place. Note that you can use the service for paid sites. After booking hosting service if 30-day period is exceeded the client is not entitled to claim any data transfer. But the customer can request migration services but can be requested as a paid service. The free transfer service provided for each of (Shared Hosting, Semi-dedicated Server) with a maturity of 30 days and only once. we provide continuous and free service of private servers with advanced management. The special servers with management come to a Regular service paid to transfer. The customer is responsible for keeping a copy of the files on his own site (and not on ArabHosters servers), and we are not responsible for any missing files, information or data. ArabHosters backup service offers daily and weekly and monthly (depending on the type of service) where it is implemented as best as possible, but problems may occur beyond our control, for example, the problem of the inability to complete the backup or a hard drive failure, hence we do not assume any responsibility, so please make sure you have a backup copy of your site. We do our best, but sometimes things go wrong! It’s forbidden to use our servers for the purpose of carrying out attacks or hacking networks, servers and other sites. And ArabHosters holds the right to cancel the full customer service causing this violation. ArabHosters holds the right to defend their clients and take any action it deems appropriate without prior notice or warning, ArabHosters will not be responsible in any way for any amounts paid or retrieval if shown that there is an attempted violation or damage to the server. Some of these sites are prohibited on shared hosting accounts (movie and/or music sites, download centers). Use the account as to save space back-up or archive files are not allowed on shared hosting plans. Also, prevents save or keep a backup CNN panel after it has been created inside your account, and any account is deleted it is clear that is dedicated to this matter without reference to Her without alarm, and the account holder is entitled to claim any rights. All plans specific number of files in the case exceeded this number is the account is contrary to the agreement and must upgrade to service the largest (can see the number of files available for each plan from a list of plans for hosting the joint on our site), you can also see your consumption current through the panel CNN panel across the property Inodes Usage. Per plan of hosting plans joint no limit to the consumption of resources from the RAM, CPU, Processes in the event exceeded one of these factors limit for him in the same moment, the site stops for some time until the lower consumption for the maximum and then back Site to work, and all this is done completely automatically without any intervention by technical support, you can also see your consumption of current through the panel LCD panel via a property Resources Usage. Per plan of hosting plans joint (vary from plan to another) Send mph, and cannot exceed this figure and if exceeded this figure, the messages within the queue and are divided into the other hours depending on the quantity/number. You can always upgrade or reduction of plans when the client wills. In any case, when you upgrade difference is calculated automatically either reduce the plan do not fall within the system of calculating the difference and the client is obliged to pay the full value of the new plan. ArabHosters offers back-up of sites daily, weekly, and monthly via remote backup service free of charge. Databases are backed every six (6) hours with a previous version and copy, weekly, monthly, either site files are copied every 3 days with 6 earlier versions. In any case, the client is responsible for maintaining the position and taking periodic backups to save them in a safe place for him. Inform the other party that service is provided by ArabHosters. ArabHosters are not obligated to provide technical support to other parties. or to provide that support to the re-sale service (except in the case of subscription within the category of business). ArabHosters is not responsible for misunderstanding or financial problems with the other parties or distributors. ArabHosters are committed to dealing with the original customer only. ArabHosters provide server rental service for related services and hosted sites. The client also has the right to use the server for other technologies such as Virtualization, Backup or any other technologies and services considered legitimate and does not involve any damage to other parties. Note that ArabHosters do not allow the use of private servers for the purposes of any harm to others in any way. In the event of discovery of this matter by ArabHosters or by other parties, ArabHosters will verify it and then the appropriate action will be taken, which may amount to cancel the service provided to the client. IPs of type IPv4, each IP Server includes one (1) with the total price of the server. Can increase IPs to 5 IPs on a monthly basis. In the case of a request, a greater number of 5 IPs, can add 16 IPs (one block) as a service paid for each IP monthly. Please note that this application requires the approval of network management and take 72 hours in working days. And orders are accepted by the customer’s need for additional IPs. The application may be rejected and this depends on the client’s need for additional IPs. Each particular client is fully responsible for the safety and reputation of IPs and making sure the IPs do not enter the list of suspicious IPs due to sending spam messages, or intrusion and fraud on others. All servers are limited with specific monthly traffic counted automatically every day for 1 month. Upon reaching the limit of 500 GB of traffic we will communicate with the client and tell him the need to upgrade, the customer is entitled to not upgrade, thereby closing the server upon the arrival of consumption 100%, knowing that the upgrade will be for a period of at least three months and then you can downgrade traffic capacity, while the upgrade for larger capacity is always available. all servers provided with regular management service free of charge, note that the normal management includes technical support on hardware and network. ArabHosters is obliged to provide any other technical support problems such as reform of the operating system or adjust the settings to work in a certain way. In the case of the client is unable to manage the server himself we provide advanced management service, which includes all artistic and technical aspects of the server. Advanced management plan does not provide Administrator control on the server to the client where the entire control is with ArabHosters and so as to ensure the stability of the server and work on it according to the client. maintaining a backup copy of the data is the responsibility of the customer in the first place. And maintaining internal copy inside the server itself is not enough, in case the server or a problem with gear will not be ArabHosters responsibility in this case. Note that subscriptions to remote backup service are excluded from this. Basic and advanced management packages are only ordered to servers that are rented by ArabHosters, in the case of renting a server to another company, only management packages are available for order including the ‘Super Package’. Basic and Advanced Management packages do not include any kind of dealing with any service such as (Your Own Private Data Center or Service Provider) out of Arabhosters. The customer can only order WHM control panels and are not allowed to own a ‘root’ user for their private server as long as the server is included in any of our management packages, however the customer can get an SSH access for any user on the server and would be able to log in using a private VPN. The management service will be automatically halted in case the customer confirms their request to have root access and ArabHosters are not responsible for any malfunctions or technical issues with that server. The customer has the right to make only one order per ticket and the employee has the right to close any repeated or old tickets to achieve a better and faster response to executing your order. Having more than one of your employees follow up with a ticket could cause confusion to our employees and therefore would make us unable to help you with your request so please make sure that only a specific employee follow up with their respective ticket. Domain registration is only valid through ArabHosters, in addition to providing a mechanism to control the domain through the client panel. ArabHosters is committed to whenever the client requests for the transfer of his domain to another company to facilitate achieve this by providing a mechanism request the EPP code, which will reach to his registered email as the owner of the domain where he can follow the links that he receives on that mail. 1- The domain cannot be moved, but only upon request of the customer himself by opening a ticket through the customer support system. 2- Unblocking of the domain is done only through ArabHosters so the customer himself cannot. 3- Request for approval to disable the lock: remembrance of the secret answer is necessary for your security question. 4- This service is available for all domains that are booked by us or by the customer transferred to us and whether our domain hosting or with any other host. we verify the identity of our client by answering the security question because you cannot change this answer only through the client himself even in the case of someone else’s data entry in case of stolen e-mail that is registered in the account or by using the input device or by forgetting to shut the page or panel. The customer shall update the domain owner data and adjusted periodically when the change so that it stays always up to date. ArabHosters is not responsible for the end of the ownership of an annual domain or more, in the case does not have a client to pay the fees is received reminder out a month before its completion in addition to four reminders succession which is prior to the completion of 7, 5, 3 and 1 day where you must pay the invoice issued before his arrival for the last day in the period owned by the domain. ArabHosters is not responsible for domains that are not registered through them and remain the responsibility of the customer to pursue renewal date scope of the company that the application for the registration scope of which, or can request to transfer the domain to ArabHosters to be able to continue renewal and management by ArabHosters directly. When asked to reserve a domain through us, ownership of this domain belonging to the same client is entitled to when and how he wanted to transfer, edit data, manage domain and Arab hosters is committed to achieving this. install or remove the client software, and server settings to suit the service. connect the server and select the partitions you want to copy and other settings. assist the client in emergency situations. software update client and follow-up in the duration of the subscription. (May require the provision of access data on the server). we provide advice and guidance to ensure the best possible use. substantive and technical support does not include any matters outside the scope of backup service remote. In the event of the work of radical changes to the system or server must tell the technical support to ensure the safety of the work of the service. And we will not be responsible for the service stops by the Custodian of the client in the absence tell us the root of these changes. Our commitment to providing a high level of safety for our customers, and not to accept any damages, whether intended or not by the client or any other person outside the scope of ArabHosters. Prevents the use of the service for a purpose other than the copy process and secure the information. In the case of detection of any operations or attempted piracy and penetration by the client. The service will be shut down permanently and will not be returned any sums of money have been paid. And may be reported to government agencies.